In yet another insurance dispute arising out of the 2010 Deepwater Horizon drilling-rig catastrophe, the Texas Supreme Court rejected the insurer’s argument that its policy limited coverage for defense costs to a fraction of the actual costs. The opinion is another lesson in the Court’s approach to interpreting insurance policies. 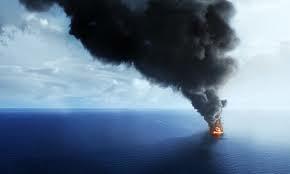 Anadarko owned a 25% minority interest in BP’s Deepwater Horizon operation. After a federal court held BP and Anadarko jointly and severally liable for damages under the Oil Pollution Act, Anadarko reached a settlement with BP, under which Anadarko paid BP $4 billion and relinquished its 25% interest in exchange for BP’s agreement to indemnify Anadarko for any additional liability. BP did not agree to pay Anadarko’s defense costs, so Anadarko sought to recover those costs, which exceeded $100 million, under an excess liability policy purchased on the Lloyd’s London market. The policy provided coverage up to $150 million for Anadarko’s “Ultimate Net Loss,” which included both liability and defense costs. The Underwriters, however, took the position that a joint-venture endorsement limited the insurers’ responsibility to 25 % of the limit, i.e., $37.5 million, which it paid. Anadarko acknowledged the $37.5 million limit applied to the $4 billion settlement payment, but argued it did not limit its right to recover defense costs up to $112.5 million—the remaining balance of the $150 million policy limit. The joint-venture endorsement had three clauses. The first provided the basic coverage limitation: [A]s regards any liability of [Anadarko] which is insured under this Section III and which arises in any manner whatsoever out of the operation or existence of any joint venture … in which [Anadarko] has an interest, the liability of Underwriters under this Section III shall be limited to the product of (a) the percentage interest of [Anadarko] in said Joint Venture and (b) the total limit afforded [Anadarko] under this Section III. The second and third clauses provided exceptions to the limit imposed by the first clause. The trial court granted part of the relief sought by Anadarko, finding the first clause applied but was modified by the third clause, so that Anadarko was entitled to recover some, but not all, of the costs it requested. The Beaumont Court of Appeals granted the parties’ cross-petitions for permissive appeal, reversed the judgment, and granted judgment for the Underwriters. The appellate court agreed the first clause’s limitation was triggered, but held neither of the exceptions applied. On review, the Texas Supreme Court disagreed with both of the lower courts, and held the limitation imposed by the first clause applied only to Anadarko’s liability, not to defense costs. After consulting dictionaries, cases describing common uses in insurance and other legal contexts, and other provisions in the policy using the term “liability,” the Court construed the term as referring to the insured’s “legally imposed obligation to pay for a third party’s damages in response to a written claim.” As such, the term does not encompass defense costs, i.e., the “voluntarily assumed obligation to pay lawyers, investigators, or others for services provided to defend against the liability.” Consequently, the Court held, “the liability insured and defense expenses are two separate components of the Ultimate Net Loss,” and only the former is limited by the joint-defense endorsement. The Court reversed the judgment of the court of appeals, rendered judgment granting Anadarko’s motion for partial summary judgment, and remanded to the trial court “for further proceedings consistent with this opinion”—a determination of the amount of defense costs incurred up to the remaining policy limit.